In biology, everything is connected, sometimes by a far shorter link than anyone can imagine. This chapter tells the story of how work on an obscure mutation in fruit flies has led to the first drug treatment for advanced basal cell carcinoma. The plot takes in a grand German Schloss, an assortment of flies, fish, mice, and chickens, three extremely ambitious scientists, and somebody’s very astute dad. But, first, let’s start at the beginning, with the flies. Drosophila melanogaster, the fruit fly, is responsible for spoiling many a summer picnic; few things are guaranteed to shatter a mood of lazy contentment more thoroughly than swallowing a fruit fly plundering the strawberries or bathing in one’s glass of Pimm’s. In laboratories, however, the fruit fly is a superstar, the organism in which the first steps were taken towards answering the million-dollar question of developmental biology: How on earth does a fertilised egg, a fairly simple-looking thing, grow into a complex organism? Drosophila was the place where modern genetics began, in the Columbia fly lab of Thomas Hunt Morgan at the beginning of the last century. Morgan (who was the great grandson of the chap who composed the Star Spangled Banner; an entirely irrelevant but irresistible snippet) started using flies to explore Mendel’s newly rediscovered theory of heredity because they had a short breeding time of 10 days and were very cheap to keep. After two years of getting nowhere, in 1910 he isolated the first fly mutant, a male with white instead of red eyes, and shortly afterwards showed that the white gene lay on the X chromosome. In subsequent work with further mutants, he confirmed the chromosomal theory of heredity, that genes lie along the chromosomes like beads on a string, and that different genes can be shown to be linked by tracking how often they segregate together during breeding. His student Alfred Sturtevant created the first genetic linkage map, transforming genetics from a descriptive, phenomenological discipline to a mathematical one; after Sturtevant, genetic distance could be mapped precisely and the order and distance apart of genes on chromosomes determined (a slightly more relevant snippet: Sturtevant was colour blind and must have had some difficulty distinguishing different fly eye colours). In 1933, the year that Morgan won the first fly Nobel Prize in Physiology or Medicine, Drosophila received a further boost with the rediscovery of polytene chromosomes in their salivary glands. Polytene chromosomes form when a cell duplicates its DNA many times without dividing, leading to many (1024 in the case of Drosophila) copies of the four chromosomes. Each chromosome hangs onto its replicated sisters, forming enormous, thick ropes of DNA large enough to be seen in detail down a light microscope. The chromosomes each have their own unique stripy pattern of bands, rather like a badly knitted Dr. Who scarf, and in 1934, Calvin Bridges, another Morgan alumnus, produced a set of beautifully detailed drawings of the banding pattern, which are still used today to navigate around the chromosomes. Once the bands were documented, it became very obvious that polytene chromosomes provided a link between the fly geneticists’ theoretical ideas regarding genes and linkage, and physical reality; a phenotypic mutation such as the red-to-white eye colour change could be correlated with a change in the banding pattern on a particular chromosome, thereby pinpointing the location of the mutated gene. Aside from their cheapness and their handy polytene chromosomes, the other big advantage of Drosophila as a model organism was the ease with which mutations in the adult body plan could be spotted. Compared with complex vertebrate anatomy, there is not much to a fly, and mutations in legs, wings, bristles, and so on were visible with the aid of even the most primitive microscope. Professionals and interested amateurs alike could study a miniature freak show whose exhibits included flies with legs instead of antennae, flies with extra sets of wings or no wings at all, and flies with no eyes. Flies were the perfect organism for the hobby biologist; the only experimental work to be performed was setting up matings between different flies and then observing their offspring; all the rest of the work was the intellectual puzzle of determining which crosses to do and interpreting the results. Ed Lewis, fly geneticist extraordinaire, started working on Drosophila in 1935 as a schoolboy, buying stocks from an advert in the back of Science magazine and working after hours in the school science laboratories. By the 1970s, fly labs had developed a repertoire of increasingly sophisticated genetic tricks, but their main experimental aims were still very similar to those of Morgan: mapping new genes and detecting new mutant versions (alleles) of known genes. However, the theoretical side of the field, suggesting the possible genetic mechanisms behind the mutant phenotypes, had flourished. The superficial answer to the question of how a single egg can turn itself into an organism was now clear; everything boiled down to which genes were expressed where, and when. However, it was frustratingly difficult to progress beyond this simple statement. Drosophila are built on a segmented body plan that becomes apparent in the embryo during the first hours after egg fertilisation, when three head segments, three thoracic (“chest”) segments, and eight abdominal segments are clearly visible. The thoracic and abdominal segments look pretty similar to begin with, but each ends up specifying a different part of the fly’s anatomy. For example, the first thoracic segment eventually makes a pair of legs, the second a pair of legs and a pair of wings, and the third a pair of legs plus a pair of halteres (little knob-like balancing organs that the fly uses during flight). In the mid-1970s, the Spaniard Antonio Garcia-Bellido proposed that the strange mutant flies so beloved of the early Drosophila investigators could be explained by mutation or misexpression of “selector” genes whose function was to specify segment identity. For example, if a gene normally specifying a segment making legs was accidentally switched on in the head, legs would grow instead of antennae; similarly, extra sets of wings, or a complete lack of wings would arise when genes specifying particular abdominal or thoracic segments went wrong. Working out how such selector genes caused these “homeotic” (from the Greek, homoiosis, “to make similar”) transformations was a major preoccupation of the fly field, epitomised in 1978 by Ed Lewis’s prescient Nature paper, which summarised and interpreted 30 years of his work on how a multigene complex regulated the wing-duplicating bithorax mutation. However, homeotic genes were not the only players in fly development. A whole set of other genes was involved in turning eggs into segmented embryos and larvae, but strangely, almost nobody seemed to be interested in them, perhaps because eggs and larvae are pretty boring to look at, and mutations affecting tiny wriggling tubes are rather hard to detect. All this changed in 1980, with the publication of a paper in Nature entitled “Mutations Affecting Segment Number and Polarity in Drosophila,” written by Christiane (Janni) Nüsslein-Volhard and Eric Wieschaus, then working at the European Molecular Biology Laboratory in Heidelberg. Janni Nüsslein-Volhard and Eric Wieschaus’s work arose from one of the great synergistic partnerships of modern biology. Janni, reserved, formidably smart, and extremely practical, had originally been a molecular biologist, and the more extrovert Eric, widely held to be slightly bonkers but brilliant, started as a pure geneticist. The pair first met in Walter Gehring’s lab in Basel, one of the powerhouses of fly developmental biology and one of the few labs in the world whose inhabitants thought that the fly embryo mattered as much as the adult. From their work with Gehring, Janni and Eric realised that identifying the very earliest genes required for correct front-to-back (anterior–posterior) patterning of the fly embryo was crucial to understanding how the body plan was laid down, and that, moreover, they could use techniques lifted from bacterial molecular biology to find these genes. Their work solved the which issue of early development, providing the fly world with a complete list of the important genes and a hypothesis for how they worked. Moreover, their methods could be easily adapted to search for almost any developmentally important genes, not just in flies, but in other organisms. Together with Ed Lewis’s work on homeotic mutations, Janni and Eric’s experiments ushered in the modern era of developmental biology, and their combined insights won all three scientists the 1995 Nobel prize for Physiology or Medicine. 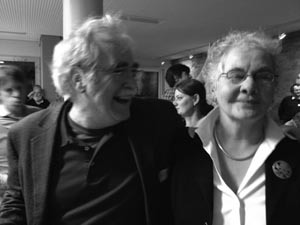 Eric Wieschaus and Janni Nüsslein-Volhard at Janni’s 70th birthday party, 2012. Funnily enough, there was nothing in Janni and Eric’s experiment that couldn’t have been performed 40 years previously; it was just that they were the first people in the fly world who possessed the nous to realise what was important, the background in molecular biology to understand what was experimentally possible, and the ambition to try something entirely new and extremely labour-intensive—a saturation screen. Saturation screens are rigged to find mutations in every single gene involved in a particular pathway, in this case, the pathway to a normal embryo. To get to saturation, you must make an informed guess regarding how many genes you might be trying to hit and then do the mutagenesis enough times to make the likelihood of catching everything as close to 100% as possible. With bacteria, which was where Janni got the original idea, this is pretty easy—you just need a week or so, a lot of agar plates on which to grow the bacteria, and some incubators set to 37°C. With flies, the principle is the same, but the logistics are a nightmare. With all of the genetic tricks necessary for a clean result omitted for clarity, Janni and Eric’s experiment ran as follows: Mutate the sperm of a male fly by feeding him the chemical ethyl methanesulphonate, and mate him to a normal female; mate their mutant sons to more normal females; mate together the resulting grandchildren; look for dead embryos (one quarter of those born, because both parents have one mutant and one normal allele; remember Mendel’s peas and Punnet squares), and analyse them for mutations in their segmentation pattern by staring down a stereoscopic microscope with your colleague and arguing whether what you can see is odd or not; repeat approximately 27,000 times, and additionally, don’t forget to keep all of the 27,000 lines going, by transferring breeding stocks of the original flies once a fortnight into new vials (you need at least three vials per line). Once you have your mutants (which turned out to number 580), roughly categorise them according to what you see down the microscope, then cross all of the lines in each category together to work out which lines are mutated in the same gene. (If the mutants are in different genes, they will complement each other, restoring the normal phenotype so that all the embryos will be alive. If they are in the same gene, there is no complementation, and a quarter of the embryos will still die, as before.) Finally, think of a good name for your mutant, based on how it looks (whimsy is permitted). Janni and Eric’s experiment soon turned into Janni, Eric, Gerd Jürgens, and Hildegard Kluding’s experiment, assisted by anyone competent who happened to be passing through (one ex-Gehring labmate recalls a weekend break to Heidelberg to visit his friends entirely spent looking down a microscope), but by 1980, it was clear that all of the work had paid off. Janni, Eric, and their coworkers had identified 139 genes that, when mutated, altered the embryonic segmentation pattern. The genes could be divided into three distinct groups, with each group affecting a particular aspect of segmentation. Group one, the “gap mutants,” produced embryos in which multiple adjacent segments were absent. For example, hunchback mutants lacked two adjacent thoracic segments, leading to an embryo with a normal abdomen but almost no thorax, whereas Krüppel embryos had no thoracic segments and were missing the next five abdominal segments too. Group two, the “pair-rule mutants,” produced embryos in which either odd- or even-numbered segments were absent or mutated. Group three, the “segment polarity mutants,” had the correct number of 14 segments, but within each segment, either the front or the back section was deleted and replaced by a mirror image of the remaining part. The three groups of mutants and their phenotypes allowed Janni and Eric to propose the ground rules for anterior–posterior patterning of the fly. Gap genes were the first to act, laying down the basic head-to-tail body plan, and this pattern was then worked on first by the pair-rule genes, and then by the segment polarity genes, resulting in the creation of segments. The idea was beautifully simple and very appealing by virtue of its common sense; like building a house, one started with the foundations, built the shell of the house, demarcated the rooms, and then put in the correct number of internal floors and walls. Furthermore, once it was known how the initial building work was performed, it became very clear which genes would do the genetic equivalent of the interior decoration of the empty house: the homeotic “selector” genes. Governed by the patterns of expression of the segmentation genes, and also by other genes of their own class, the homeotic genes specified segment identity, so that legs, wings, halteres, and so on grew in the correct places. The Nature paper announcing the first results from the screen was viewed with interest by the fly field, and awe at the amount of labour involved by everybody else, but it wasn’t immediately clear how important it was going to be. Part of the problem was that the experiment was slightly ahead of its time. Lists of genes were all very well, but the means of cloning those genes were not quite advanced enough, and many, including Janni herself, were not up for the labour involved. As she remarks in her Nobel autobiography, “In my lab, molecular analysis was begun rather late, as we felt it important to investigate the properties of the individual genes as carefully as possible before embarking on tedious molecular cloning, that was not easy at the time” (Nüsslein-Volhard 2012). It took three years until the first homeotic genes were cloned in the labs of Dave Hogness, Walter Gehring, and Thom Kaufman, and these were followed in short order by the first segmentation genes. Once genes are cloned, a whole new world of experimental possibility opens up: One can see where in an organism the genes are expressed by looking at where their mRNA is to be found; work out their DNA sequences and from those, their protein sequences; see whether the proteins look like any others, and from that try to draw conclusions regarding possible function; make antibodies against the proteins and see where they are, both in the cell and in the body; and generally throw every weapon in the molecular biology arsenal at the problem. Although part of the fly world fought a determined rearguard action to prevent their elite, intellectual field from being trampled into the sticky mud of molecular reality, they were eventually forced to surrender, helpless in the face of a torrent of intriguing information provided by the new methodology. Despite all of these exciting goings on, fly work and, indeed, the wider field of developmental biology, was still a decidedly minority interest in the scientific world. It was therefore a bit of a surprise that the ICRF, a cancer research institute, already had a thriving unit at its north London outpost in Mill Hill that was dedicated to studying the process of normal development in organisms as diverse as slime mould and frogs. As related in Chapter 4, the ailing ICRF Mill Hill laboratories had been rescued in 1973 by John Cairns, who turned their fortunes around dramatically. Cairns, in addition to establishing a group working on DNA repair and thereby laying the foundations for the incredible subsequent successes of the Clare Hall laboratories, believed passionately that to understand what went wrong in cancer, one had also to understand the process of normal development. To this end, he recruited Brigid Hogan, working on mouse teratocarcinomas, and Julian Gross, a slime mould person, who, before taking the slightly unusual career decision of leaving for India to sit at the feet of the Bhagwan Shree Rajneesh, hired fellow slime fans Jeff Williams and Rob Kay. Jonathan Slack, a frog enthusiast, and David Ish-Horowicz, working on Drosophila, completed the developmental biology cohort in 1979. David Ish-Horowicz, the Drosophila component at Mill Hill, was a biochemist who had been seduced by the possibilities of fly genetics. After a PhD at the Laboratory of Molecular Biology in Cambridge, he went as a postdoc to Walter Gehring’s lab in Basel, overlapping with Janni and Eric, and becoming infected, like them, with an enthusiasm for the embryo. When he returned to London to set up his own lab at the ICRF, it was as one of the new breed of Drosophila molecular biologists, working out the peculiarities of the Drosophila genome and trying to clone and analyse fly genes. In 1982, inspired by Janni and Eric’s work, he turned his attention to a segmentation mutant, the pair-rule gene hairy. David Ish-Horowicz and Jeff Williams. David was one of the first fly people to move into molecular analysis of embryonic genes, and hairy was a very good place to start. Unlike many segmentation mutants, hairy flies survive into adulthood; mutant flies are, as one might expect, extra hairy—they have excess bristles, the adult sensory organs, on parts of their wings, heads, and thoraxes. The adults are fertile, making it possible to breed them and apply some useful fly genetic tricks to pinpoint and then clone the hairy gene; this was far easier and faster than the awful slog of walking along the polytene chromosomes towards a mutant locus, then the only other alternative. For this new project, because another postdoc was required to augment the existing inhabitants of the lab, David put an ad in Nature and crossed his fingers. Because he was a relative unknown, it would be hard to attract a person of the calibre he required. Fortunately, at the Institute of Molecular Genetics of Eukaryotes in Strasbourg, someone good, desperate, and immediately available was reading the job pages in Nature that week: Phil Ingham. Perhaps out of a need to prove to the world at large that they are just as interesting as everybody else, scientists love embroidering the personal folklore of their peers. In the case of Phil Ingham, the rumour that he trained as a priest before becoming a scientist has dogged him for years. Sadly, as the thought of a young Phil clad in clerical black and preaching to a rapt congregation is one to relish, it’s not true. He does have an A level in Religious Studies, to go with a clutch of science subjects, and he did do a year of Theology at Cambridge, having applied to do the Social and Political Science Tripos, but it was out of a desire to engage his brain with something more interesting than the dusty school science syllabus, rather than from any religious conviction. Rebelling against science in favour of sociology was all very well, but Phil soon found that although the Theology course at Cambridge was rather good, the rest of the SPS Tripos was a fossilised relic and that there was no way he wanted to finish the course. This left him with the large problem of what to do instead. Given his A levels, Natural Sciences seemed the only option, and thus to give it a try, Phil wandered one day into a lecture on mitosis and fell in love. Having never done biology, he’d never seen anything like the wobbly black-and-white film showing the stately dance of the chromosomes lining up on the mitotic spindle, condensing and dividing in perfect synchrony, and he was entranced. It turned out, following a conversation with his Director of Studies, that it would be possible to switch and go directly into the second year of the Natural Sciences course, but the downside was that his options would be quite limited. Phil signed up to do History and Philosophy of Science (a no-brainer to someone who had already spent a year writing essays on subjects such as the impact of Darwinism on the psychology of religion), Biochemistry (allegedly easy if you’d done A-level chemistry), and Genetics, because it sounded interesting and he wasn’t qualified for anything else. The genetics course at Cambridge in the 1970s was fascinating, because the undergraduates were the first generation to learn not only classical genetics but also the new theories regarding Drosophila selector genes and homeotic mutations. Fortunately, because Antonio Garcia-Bellido’s work was not an easy read, the students had Peter Lawrence, one of the best communicators in the fly business, to explain things properly to them. Developmental biology acquired an awful lot of extremely able scientists thanks to Lawrence’s lucid and highly persuasive lectures, and Phil Ingham, hearing Lawrence one winter’s evening, was one of them. To someone who would have loved to be a Cambridge mathematician, but (in his opinion at least) wasn’t quite up to it, genetics, with its combination of maths and biology and the elegance of its logic, was very appealing, and fly genetics was just about perfect; the added dimension of being able to use genetic logic to draw conclusions regarding a subject as tantalising as development was unbeatable. With all traces of his sociology ambitions eradicated, Phil left Cambridge in 1977, bound for Sussex and a PhD in the laboratory of Bob Whittle, one of the few people doing fly work in the United Kingdom at that time. Once there, he thrived, isolating a new homeotic mutant, trithorax, whose most extreme phenotype was the development of flies with six wings. In the summer of 1980, his final year as a PhD student, Phil went to a fly conference in Kolymbari, Crete, which, if he had been a little less naïve, he would never have had the nerve to apply to, let alone attend. Entitled “The Molecular and Developmental Biology of Drosophila,” the meeting was a high-level get-together of the cream of the Drosophila world, and the chance of an unknown PhD student getting in would normally have been about as likely as a donkey competing in the Derby. However, Phil’s trithorax work was cutting-edge stuff, and the organiser, Walter Gehring, was interested enough to get him along. Phil even got to give a talk, although he had to do it without slides because he hadn’t thought to bring any with him. The experience wasn’t entirely positive; after he’d finished, he was told with great relish by an unkind French scientist, who shall remain nameless, that the presentation had been a disaster. The Kolymbari meeting was the first time Phil heard Janni and Eric talk about their saturation screen, just before it was published. The Whittle lab was entirely uninterested in embryos, so much so that during the course of his PhD, Phil had isolated some 2000 embryonic lethal mutations but had thrown them away without looking at them (a source of some regret after Janni and Eric won their Nobel). Phil managed to bag a seat between Janni and Eric at dinner one night, and although Janni was rather quiet, he was charmed by Eric, who talked away nonstop for the whole meal and converted him wholeheartedly to the embryonic view of things. Combined with the very molecular focus of the rest of the meeting, the existence of a list of segmentation genes that really needed to be cloned made Phil realise that to get any further with fly development, he was going to have to learn some molecular biology. Doing a postdoc in Strasbourg with Pat Simpson, a renowned Drosophila person, seemed to be a good option. Pat’s proximity to the many top-flight molecular biologists there should have meant that the techniques Phil needed to learn would seep through into her lab, but unfortunately, the molecular biologists seemed uninterested to the point of rudeness in any contact with fly people. In the end, the high point of Phil’s time there was a trip to Tübingen, where Janni was now based and where their Trappist dinner in Crete was forgotten in a day of intense conversation that laid the foundations for a long and happy friendship. Strasbourg was clearly going to be no use to Phil at all, so seeing David Ish-Horowicz’s ad in Nature was a godsend. In a tribute to the power of conference networking, the two had already been introduced at the Kolymbari meeting, and thus, a year after his departure for Strasbourg, Phil found himself back in the United Kingdom again, but this time in a lab that was wholeheartedly of his own opinion that embryos mattered, and molecular biology mattered too. The Mill Hill laboratories, although rather dilapidated, were a great place to work. The mix of different organisms there exposed Phil to the world of vertebrate developmental biology, and his colleagues were amongst the brightest and best then working in Britain. Phil found the intricacies of molecular biology, cutting and pasting bits of DNA together, to be intellectually quite similar to thinking through the breeding steps necessary to get correct fly crosses, but being a molecular biology novice in the Ish-Horowicz lab was fairly alarming. David’s research assistant, Sheena Pinchin, a really good fly person, was fine, but at first sight, David’s three existing postdocs and a brilliant PhD student, Ken Howard, were almost as scary as the uncooperative French scientists of Strasbourg. Fortunately, once they’d sized him up and realised his fly knowledge complemented their DNA skills, they rapidly transmuted into pleasanter, if still deeply competitive, beings. 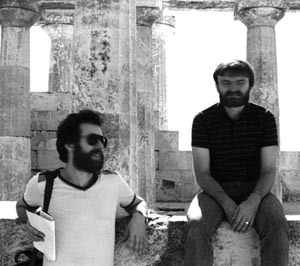 Phil particularly bonded with Ken Howard, David’s PhD student, and the two of them, together with Sheena, got on with the hairy project. 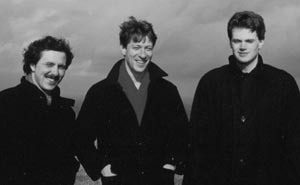 Alfonso Martinez-Arias, Phil Ingham, and Ken Howard on the South Downs, 1986. In summer 1985, the annual Symposium at Cold Spring Harbor, pretty much the most prestigious meeting on the biology conference calendar, was devoted to the topic of the molecular biology of development. It was held in an atmosphere of high excitement, at a time when the first molecular truths of development were being revealed. Organisms from yeast through slime, worms, flies, frogs, and mice were all represented. People had made transgenic mice, their genomes altered by the heritable introduction of foreign DNA, and the first stem cells were being isolated. However, the fly talks took centre stage. Although only a handful of segmentation and homeotic genes had been cloned, the developmental insights they were already providing were pretty startling. Things had started to heat up the year before with the discovery of the homeobox by Bill McGinnis, Ernst Hafen, and Mike Levine in the Gehring lab and Matt Scott in Thom Kaufman’s lab in Indiana, and the realisation that the homeobox-encoding DNA sequence was found in multiple fly homeotic and segmentation genes. By comparison with a similar sequence found in yeast, it was clear that homeobox domains could bind DNA, meaning that proteins containing them were likely to be transcription factors, able to control the expression of other genes, which was exactly what the products of major regulatory genes should be doing. This was exciting enough, but the reason that nobody was bunking off to the beach when the homeotic guys were on was that homeoboxes had also been found not only in yeast, but in vertebrates. Although there were as yet no functional data regarding the vertebrate homologues, their very existence hinted that developmental mechanisms might be startlingly well conserved, and that what held in flies might also apply in higher organisms. All present realised that these unexpected findings might be the way in to a previously intractable molecular problem, vertebrate embryology, and there was a tantalising possibility, subsequently borne out, that the vertebrate homeobox proteins were just the tip of the iceberg. Many more fly genes would have vertebrate counterparts. Fortunately, the invalid recovered sufficiently to give his talk on the last day. In the three years since Phil’s arrival in David’s lab, the hairy project had moved on a lot. David, with help from his postdocs Andy Leigh Brown and Julian Burke, had cloned the hairy locus, no mean feat in itself, but it was Phil and Ken Howard who had then gone on to define its expression pattern, together with another pair-rule gene, fushi tarazu (“not enough segments” in Japanese). To look at expression of the genes, Phil had turned himself into one of the very few Drosophila experts in in situ hybridization, a method for recognising and labelling mRNA in ultrathin sections sliced lengthwise through the fly embryos. Together with Ken, he had got some spectacular results. hairy mRNA initially came on all over the embryo, but its expression was rapidly refined into seven zebra stripes. fushi tarazu mRNA came on subsequently and also had a seven-stripe zebra pattern, but wherever hairy was on, fushi tarazu was off. The patterns for both genes corresponded to the segments of the embryo that were absent when the genes were mutated. Exactly how the refinement of the early widespread hairy expression into the subsequent stripes occurred and whether the hairy stripes defined where fushi tarazu came on was an intriguing puzzle that struck right at the heart of the patterning problem. Phil and Ken’s results, combined with work from the small number of other labs able to do in situs, showed that all of the segmentation genes cloned so far were expressed in distinctly different stripes, always corresponding to the parts of the embryo that were absent when they were mutated. Over the next year or so, as more labs got in on the act and provided further data, substantial flesh was put on the bones of Janni and Eric’s original theory of segmentation. The gap genes came on first in broad stripes, in the part of the embryo that they governed. (Their pattern was preordained by maternally expressed genes, whose mRNAs are bequeathed to the egg by its mother.) Scanning down the embryo from top to bottom, there were now different combinations of maternal and gap proteins. The mix of proteins only persisted for a short time, but before their demise, they wrote personalised molecular messages to the pair-rule genes, telling each of them where to come on in their characteristic zebra pattern. Before they too faded out, the pair-rule genes specified 14 stripes of segment polarity genes, which added in the details that eventually resulted in a visibly segmented embryo. The 14 segments of the early embryo were half a segment out of register with the visible segments of the late embryo, and were therefore christened parasegments. Phil’s in situ and molecular biology skills, combined with his evidently superior Drosophila brain, meant that he was now extremely marketable, and by the time the hairy work appeared in Cell the following March, he was no longer a postdoc at Mill Hill. Peter Lawrence’s solicitude at Cold Spring Harbor may have been a novel, fruit-based, recruitment technique, because he had lured Phil to the Laboratory of Molecular Biology in Cambridge, where, with two other stars of the new molecular fly field, he was supposed to spearhead the LMB’s attempts to enter the modern age. Unfortunately, the plan unravelled rapidly with the nonappearance of his two promised colleagues, and Phil once again found himself unhappily marooned. Not many months in, he started looking for a means of escape. Salvation, when it came after a year of discontent, had a familiar face; once again, David Ish-Horowicz rode to Phil’s rescue, although the stable from which he spurred his scientific horse was now in Oxford, not North London. Following the decision to close the Mill Hill laboratories, the remaining developmental biologists there chose different escape routes, all of which proved to be remarkably successful: Jeff Williams, who needed to stay in London, went with the DNA repair people to Clare Hall; Brigid Hogan was recruited next door to the MRC National Institute for Medical Research; Rob Kay went to the LMB; and David Ish-Horowicz and Jonathan Slack moved to the newly established ICRF Developmental Biology Unit in Oxford, whose incoming director, Richard Gardner, was one of the big cheeses of mouse embryology. The calibre of laboratory heads in the ICRF Developmental Biology Unit (DBU) was astonishingly high; most became Fellows of the Royal Society (Gardner already was one), and the haul of medals, institute directorships, and the other trappings of academic success they have racked up among them would fill a fair-sized trophy cabinet. On the top floor of the Zoology Department, David and Jonathan’s new colleagues in addition to Gardner were Andy Copp, working on development of the mouse nervous system; Julian Lewis, a chicken person working on limb and inner ear development; and the extraordinarily gifted and charismatic mouse embryologist Rosa Beddington, still bitterly missed by her many friends and colleagues after her tragically early death in 2001 at the age of 45. Owing to Jeff Williams’s decision to remain in London, there was still some empty space in the unit, and David, hearing of Phil’s plight, engineered the return of his old postdoc into the ICRF fold, this time as an independent lab head. It was well-supported; it was well-equipped. The labs had been refurbed—it had been the MRC molecular biophysics unit and the ICRF gutted it and did it up. I think David asked me if I would join basically for the same reason Peter Lawrence wanted me to go to the LMB—because I could do in situs. Space wise, it wasn’t great, but compared with the LMB it was wonderful because I had a brand new Zeiss Axioplan microscope, I had my own dissecting microscope, I had my own space, and they gave me a technician and a student and a postdoc. I didn’t have any of those at the LMB. In their 1986 Cell paper, Phil and Ken Howard had not only shown that hairy negatively regulated fushi tarazu, but also that both genes had an effect on engrailed, a segment polarity gene. Upon his move to Cambridge, Phil had taken the engrailed project with him, not wanting to compete directly on pair-rule genes with his old lab, and soon hooked up with Nick Baker, a graduate student of Peter Lawrence’s who had just cloned another segment polarity gene, wingless. Although both engrailed and wingless were initially regulated by pair-rule genes, it was clear that this was only a transient phase in the development of the embryo, and it was a mystery how they were controlled thereafter. Phil, Nick, and Alfonso Martinez-Arias showed that at subsequent stages, wingless and engrailed were expressed in adjacent rows of cells either side of the parasegment boundary, which they were responsible for maintaining, and that each was required for the expression of the other. Because Wingless was a nomad, a secreted protein, it could easily wander along to the next-door cell and tell it to switch engrailed on, but engrailed, a transcription factor confined to the nucleus, had to be working by driving the expression of an unknown secreted protein able to signal back to the wingless­ cells. Sorting out the specifics of the wingless–engrailed reciprocal interaction became the focus of Phil’s work when he moved over to Oxford, and he started off by cloning patched, another segment polarity gene that his work at the LMB had shown to negatively regulate wingless. By running the Patched protein sequence through a database containing information on all currently known proteins, it was clear that it looked like a transmembrane protein, looping itself 12 times through the cell membrane like a particularly elaborate granny knot. In 1991, Phil’s lab published a Nature paper on the wingless–engrailed loop, which he remains particularly proud of, and in which the subject of this chapter finally makes an appearance. Although patched was clearly part of the wingless–engrailed story, there had to be more to it. Because patched repressed wingless and, furthermore, was only found in wingless and never in engrailed cells, the identity of the signal coming from engrailed cells to switch on wingless in neighbouring cells was still a mystery. There was a further oddity. When patched was lost through mutation, the stripe of cells expressing wingless was enlarged, and engrailed expression also popped up in the wrong places; as expected, loss of patched relieved some kind of repression. However, when Phil did the opposite experiment, overexpressing patched so that it was on everywhere all the time, he didn’t see the opposite result. Too much Patched should have extinguished expression of Wingless and hence Engrailed, but instead, the two proteins looked completely normal. It was here that Phil’s purely genetic background came in useful, allowing him to make an important conceptual leap regarding what Patched was doing. As he remembers: “That’s the great thing, if you’re a geneticist, you don’t know any cell biology or biochemistry, so for me, Patched was just a membrane protein and therefore it could act as a receptor. The fact that it was a 12-pass transmembrane protein and didn’t look like a receptor wasn’t a problem for me.” Once Phil decided that Patched was likely to be a receptor, it seemed reasonable to propose that its ligand would be the mystery secreted protein coming out of engrailed cells. Again, as he was completely free of orthodox biochemical notions that when ligands bound receptors they always switched the receptor on, Phil, going by the genetics, reasoned that when the mystery ligand bound Patched, Patched was switched off. This fitted perfectly with his data—if there was no Patched, there was no Wingless repression, but if there was too much Patched, it wouldn’t matter if there was enough of the mystery ligand to keep it switched off, and therefore keep wingless on. The regulatory loop as Phil saw it was therefore: engrailed switches on a mystery protein; the mystery protein is secreted and goes next door to bind Patched; Patched is switched off; wingless comes on; Wingless protein is secreted and makes a return call on the next-door cell to activate engrailed. Phil now knew what he was looking for: a protein, able to be secreted, only made in engrailed-expressing cells, which when mutated produced a phenotype resembling loss of either wingless or engrailed. Fortunately, thanks to Janni and Eric, he didn’t have to assemble his own list of suspects; the perpetrator was almost certainly going to be in their list of segment polarity mutants, just like wingless and engrailed themselves. It was. Figure 2 of Janni and Eric’s original Nature paper shows three segment polarity mutants, all with defects in bristliness and size. hedgehog, the shortest, fattest prickliest one, matched Phil’s criteria perfectly. By the time Phil got interested in it, hedgehog had been worked on by a few groups, notably that of Jym Mohler, an ex-postdoc of Eric Wieschaus’s who was now working at Barnard College in New York. Mohler had performed an extensive analysis of the hedgehog mutant phenotype during fly wing development and had made some crucial observations: hedgehog was only on in engrailed-expressing cells in the wing and appeared to be a signal, acting not on the cells in which it was made, but upon next-door cells. Furthermore; hedgehog mutants looked very similar to wingless mutants. A conversation with Eric Wieschaus got Phil even more excited about hedgehog; Eric told Phil that embryos in which both hedgehog and patched were mutated looked just like patched mutants, which implied that if the two lay on the same pathway, hedgehog was upstream of patched, just as might be expected according to Phil’s hypothesis. As proof of his hypothesis, Phil set up crosses to generate fly embryos deficient in hedgehog alone or in both patched and hedgehog, and looked at expression of wingless. Sure enough, in hedgehog mutants, wingless expression faded away completely, but in the double patched:hedgehog mutants, wingless was on inappropriately, just as in the ordinary patched mutant. Although there was still a lot of work to be performed filling in the details, the main players in the regulatory loop had been defined, together with an entirely new type of signalling pathway. Hedgehog protein, made in engrailed cells, bound to the Patched receptor and switched it off, resulting in wingless transcription. Phil carried on the hedgehog and patched project in flies, showing in a single-author Cell paper in 1993 that overexpressing hedgehog produced a beautiful patched phenotype. He also added in a new component of the signalling pathway—the fused kinase, which acted downstream from hedgehog. However, by that time, he also had other fish to fry, in the most literal sense; the zebrafish, Danio rerio, had entered his life in a big way, and the fly biologist’s fly biologist had got some backbone into his lab. It had all started in 1986 during a visit to Janni Nüsslein-Volhard in Tübingen, to discuss some work that Phil was doing on even-skipped, the fly pair-rule gene. Janni, much to Phil’s surprise, had been rather dismissive of the even-skipped data and, instead, had a new enthusiasm that she wanted to talk about. The fly work in her lab had been going amazingly well, with a succession of very impressive postdocs and graduate students studying the many mutants that had come out of the mutagenesis work. Many of these alumni were now running extremely successful labs of their own, based on projects that they’d taken with them from Janni’s lab, and as the field she had founded could now do perfectly well without her, Janni was looking for something new and exciting to try. Vertebrate development seemed like an interesting enough challenge, and furthermore, in the zebrafish, Janni thought she had found a vertebrate model organism in which she could repeat the mutagenesis strategy that had been so wildly successful in flies. I got into fish because Janni told me to! She really wanted to talk about fish—she drove me to a pet shop in Stuttgart (never changing out of third gear!) to see some zebrafish, as they didn’t have any in the lab—it was that sort of level of enthusiasm. I think I felt that we’d answered all the really interesting questions in flies, and the rest of it would just be filling in the details. There was a sense then that because I liked genetics I didn’t really want to get into the molecular mechanisms and things, so the idea of having to start doing biochemistry and understanding what proteins did was just not … So it was more interesting to go into a new system, to be there right at the start, and to start doing genetics again. Janni’s charismatic, and you believe it if Janni says something is really exciting. She doesn’t do things lightly, so I knew that if she was going to get into fish she was going to create a field that was going to be well supported and dynamic and innovative, and it would not be bad to be part of that. I went back and obviously I did read a few papers to see what it was about, and yes, I was taken with fish. I could see that vertebrates presented some interesting developmental problems that we couldn’t easily study in flies. At the time I thought Xenopus was a really interesting embryological model but it was totally intractable genetically, so it was clear to me that fish were the answer to the genetics bit. As a fish starter, given that homologues of engrailed and wingless had been shown to exist in vertebrates (vertebrate wingless was shown in 1987 by Roel Nusse’s laboratory to be the int-1 oncogene, and to avoid schizophrenia, ended up being renamed Wnt1; in all post-1987 references, wingless and int-1 therefore appear in their new Wnt1 guise), Phil’s lab began to look for zebrafish homologues of the fly genes in which he was interested, keeping a few tanks in the cramped confines of the DBU. About 2 in. long, silver, with darker stripes down their sides, zebrafish are a classic aquarium staple, both for their prettiness but also because they are as tough as old boots and will survive most forms of benign neglect. They reproduce quickly, with a 12- to 15-wk generation time, and adult females lay hundreds of eggs at a time that develop rapidly and synchronously outside the mother and are transparent, making it very easy to see what is going on during embryogenesis and to identify mutants. By 1980, George Streisinger in Eugene, Oregon had worked out a way of doing genetics in zebrafish, and after his early death from a heart attack whilst scuba diving in 1984, his Oregon colleagues, particularly Chuck Kimmel, carried on developing new genetic methodology. Janni had followed the zebrafish work with interest, and at the close of the 1980s, finally felt that the time was ripe to set up a saturation mutagenesis project. The logistics were even more stupendously daunting than for the fly screen, but as head of a wealthy Max Planck Institute, with carte blanche to embark on large-scale projects almost irrespective of cost, Janni was in a perfect position. From the small beginnings that Phil had witnessed, the zebrafish operation in Tübingen ballooned, culminating in the building in 1992 of a massive aquarium for a huge mutagenesis screen. One of the perks of working at a Max Planck Institute is to be able to use one of the poshest conference venues on the scientific circuit. Schloss Ringberg, built between the wars in a collaboration between the frankly rather peculiar Duke Luitpold of Bavaria and the artist and designer Friedrich Attenhuber, is a grand blend of art nouveau and romanticism, an imposing pile only slightly marred by its sinister history. Duke Luitpold became so obsessively fond of his in-house designer that the only way Attenhuber was able to leave the castle was by committing suicide in 1947, jumping from one of its many towers. Attenhuber’s revenge, a series of paintings of the duke executed in the best blut und boden Nazi style, in defiance of the Duke’s loathing of the Nazi regime, still hang in the castle. Following the Duke’s death in 1973, his monumental folly passed to the Max Planck Foundation, and these days, lucky conferees relax in its sumptuous bedrooms, wander the manicured grounds, and play table tennis in its towers. There was this meeting at Ringberg, which was this castle with these very funny paintings in there that looked like they were idyllic Hitler era paintings of people. I don’t know why I got invited but Janni invited a lot of young scientists like me who hadn’t done anything and a lot of very serious scientists like John Gurdon. I knew Phil from his Drosophila work, but I hadn’t really met him properly before. I did try to talk with him at a meeting in Bristol in 1988 but he gave me the Cambridge look down the nose [NB: Phil denies this with some indignation!]. I was in great admiration of the work he had performed but I felt like he was a bit of an untouchable. And then we got talking at this meeting and I was saying, “Well, you’re the fly person, I want to talk to you—we know where wnt1 is expressed in mice, you guys have shown that there’s this Engrailed–Hedgehog–Wnt1 interaction, we’d like to look for the Hedgehog component in this.” And then Cliff, I don’t know how Cliff came in. There were a few too many beers! I’d previously been in contact with Andy but I’d never met Phil—I’d read his papers but never met him. I introduced myself to them at lunch one day and said, “Phil, I’d like to ask you a few questions about your work on Hedgehog because my laboratory is trying to clone some vertebrate homologues.” Phil’s a great guy, a very solid person, and he said, “I’ll tell you whatever you want to know, but I want to be up front with you. You should know that I’m also trying to clone vertebrate Hedgehog.” And Andy was sitting right next to Phil and he said to me, “I’m actually cloning vertebrate Hedgehog, too.” There was a moment when I wondered whether everyone in the dining room was cloning Hedgehog genes! But it was just a coincidence, it was really just the three of us. This is how Cliff came into the collaboration: Andy and I were particularly excited by work in mice that Laure Bally-Cuif, then a PhD student in France, had just published, which showed that grafts of Wnt1-expressing cells from the midbrain–hindbrain boundary into the forebrain could induce Engrailed expression. This clearly implied a functional conservation of the Wnt1–Engrailed interaction from flies to mice, and on this basis we thought it likely that the reciprocal relationship would also be conserved and be mediated by a vertebrate Hedgehog gene. This was the basis of our proposed collaboration—as it was entirely based on signalling in the brain, there was no obvious reason to involve Cliff. Money was getting tight at the ICRF at the time so I suggested we apply for an HFSP (Human Frontiers Science Program) collaborative grant. Andy flew over to the UK in June or July I think and we spent the day drafting the grant on my dining table in Summertown, Oxford. Because Andy had good secretarial support, he volunteered to complete all the paper work and submit the grant when he got back to the US. One or two days before the deadline, he called me in a panic—he had just read the HFSP fine print that stated that applications would only be considered from citizens of two or more countries. Because Andy still held UK citizenship, it seemed we were ineligible. So Andy said: “You remember Cliff Tabin from Ringberg? He’s interested in cloning homologues of fly genes to look for their expression in the limb. We could ask him.” I agreed immediately, since Cliff seemed like a smart and fun guy. The rest, as they say, is history! Without realising that his chosen laboratory and institution were amongst the best in the world (“I was incredibly fortunate because I fell into lots of things in my life, and I just fell into a great lab at a great place. I don’t know why I chose it.”), Andy went off to do a postdoc with Eric Davidson at Caltech and learned an awful lot about sea urchins and molecular biology. After a very successful time in the States, he was recruited to the National Institute for Medical Research at Mill Hill in 1984, returning to his first love: mouse embryology. Having got on board an extremely talented right-hand man, Dave Wilkinson, Andy started thinking about what to do. Inspiration came from Drosophila: “We were very influenced by Janni’s work. If you looked at the outcome of the Drosophila screen, what you could see was that there were genes expressed along the anterior–posterior axis that gave rise to different patterns. You could imagine that if you had taken those embryos at the right time and cut them into bits, and then screened at the RNA level, you would have found those same genes. So we thought well, we can take mouse embryos and do the same.” Unfortunately, the level of resolution for cloning did not match Andy’s aspirations; the biggest difference between the head and tail ends of a mouse embryo is that blood is made in the tail end, and all the lab ended up cloning was a bunch of globin genes. We’re a multicellular organism, so the interesting genes are ones that are involved in sending information from one cell to another. What would be the other characteristics of interesting signalling factors then? Well, those signalling factors would have important regulatory properties in other contexts. What other contexts? Well, cancer. Int-1 and Int-2 looked like secreted factors. Nobody had found any expression for them in adult tissues, so they were complete orphans, and I thought well, nobody’s looked in the embryo. Dave did in situs in the embryo and then we saw these fantastic patterns of expression. Andy’s hunch paid off, and he and Dave, together with Juliet Bailes, published a Cell paper in 1987 that showed that int-1 was expressed in particular cells in the central nervous system during mouse development. They shared the discovery with Harold Varmus and his postdoc Greg Shackleford, whose paper also appeared in the same issue of Cell, which has Dave’s beautiful in situ photo on the front cover. Having got into development of the nervous system via int-1, Andy stayed there. His next experiment was probably his most spectacular to date. While he was at Caltech, he had become good friends with another postdoc there, Randy Moon, who was now a frog person working in Seattle. 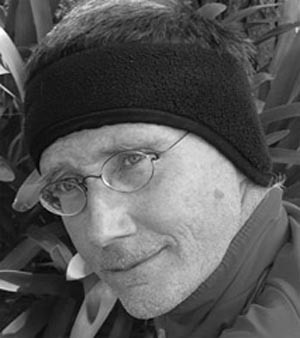 Thanks to Roel Nusse’s paper, it was now known that int-1 and wingless were homologues, and thus, because wingless clearly had a profound effect on fly development and int-1’s pattern of expression was intriguing, it seemed like a good idea to see what int-1 might do to development of a vertebrate embryo. Andy took a series of int-1-expressing constructs over to Seattle, and Randy injected them into frog eggs. The result was completely unexpected and very exciting, although not everyone was convinced. Andy remembers he “went to almost all the amphibian people and they said ‘Oh God, it’s some bloody artefact.’ The only person who was the least bit encouraging was John Gerhart at Berkeley, and he said, ‘No, this looks interesting.’ ” It was. What Int-1 was doing was causing an axis duplication in the frog embryo—instead of one tadpole with one backbone forming, int-1-injected embryos were trying to make a two-headed tadpole. Int-1, a single protein, was able to mirror the effects of one of the most important groups of cells in an early amphibian embryo: Spemann’s Organizer. 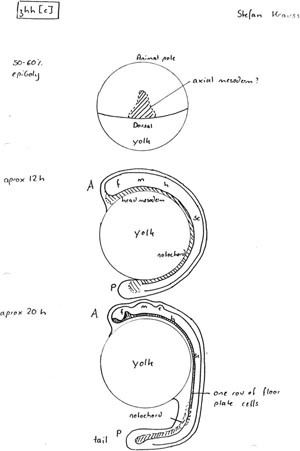 The study of vertebrate development was way behind fly embryology molecularly, but in terms of general concepts, vertebrate embryologists had a pretty good idea of what was going on. Just like flies, all vertebrates start off as an egg and from there must specify a head-to-tail (anterior–posterior) axis and a back-to-belly (dorsal–ventral) axis. The early vertebrate embryo takes shape in an exquisite ballet, in which the cells of the primitive streak create a long furrow in the spherical epiblast through which other cells pour inward, laying down an anterior–posterior axis to eventually form the notochord, over which the neural tube, the precursor of the spinal cord and brain, is created. In 1924, Hans Spemann and Hilde Mangold showed that if cells were taken from one particular region of an early newt embryo and grafted into another newt embryo at the same developmental stage, those cells caused the host embryo to attempt to develop two heads and two spinal cords; in other words, to duplicate its anterior–posterior axis. The region of the embryo was named Spemann’s Organizer. (Poor Hilde Mangold died of burns in 1926 after being caught in a gas explosion whilst heating milk for her baby son, and it is a great shame her codiscovery does not bear her name too.) Spemann’s Organizer was the first example of an inductive interaction in development, where a signal from one group of cells influences the development of an adjacent group. Analogous organizers are found in all vertebrates, not just for anterior–posterior axis specification, but for many other processes, such as limb formation. Organizers require messengers to pass their instructions on to neighbouring cells, and the vertebrate embryologists dubbed these messengers morphogens, defining them as secreted molecules that can induce changes in cell fate. Morphogens were hypothesised to move by diffusion from the organizer, and their effects would be concentration dependent; high concentrations of morphogen, found near the organizer cells, would dictate different cellular outcomes from the lower concentrations found further away from the morphogen source. Returning to Andy and Randy’s improbable result, it was not surprising that the frog people were sceptical because the data suggested that Int-1 might be one of the fabled morphogens, or at the very least, part of the patterning systems involved in axis specification. The discovery was a landmark in developmental biology, the first name on a hitherto blank molecular page, and McMahon and Moon’s 1989 Cell paper created quite a stir. Leaving Randy to his frogs, Andy returned to London intent on really nailing what Int-1, now morphed into Wnt1, was doing in the mouse central nervous system. Once Phil published his 1991 paper showing that Hedgehog and Wnt-1 were inextricably connected during fly development, it was just a matter of time before Andy realised that he needed to get some Hedgehog into his life. 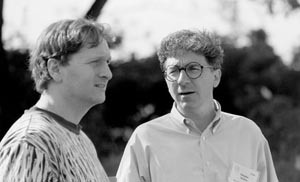 Cliff Tabin and Doug Melton, 1997. Doug recommended that Cliff applied for an independent position that had just come up in the Massachusetts General Hospital Department of Molecular Biology, throwing him in at the deep end, but meaning that if anything came of his work, he alone would get the credit for it. The strategy was a bit risky, but Cliff didn’t really have any alternative; nobody in the world was doing what he was proposing. Limb development had been studied in two ways: by chopping the legs off newts and watching how they regenerated, and by using chick embryos. Starting off with the former, Cliff went to learn some basic techniques with Jeremy Brockes in London, swapping his molecular biology know-how for tips on how to amputate legs so that they stood the best chance of regrowing. London was a good place to be for a newcomer to the limb field, because it was not only full of three-legged newts in various stages of recovery, but also harboured Lewis Wolpert, whose work on chick limbs had shaped current theories regarding how organizers were able to govern development. Lewis, a brilliant theoretician, had been less surprised than most at the discovery of the many homologous fly and vertebrate genes: “I decided that if evolution had taken the trouble to have general principles for the genetic code there were absolutely going to be general principles for development. So I wasn’t looking for specific solutions, I was quite convinced that there was going to be some general answer” (Smith 2000). Lewis’s lab had been busting a gut for many years trying to determine exactly how the organizer of anterior–posterior patterning in the limb did its job. Limbs have two main organising regions, found in the limb buds, which are little nubs arising from the main body of the vertebrate embryo. The apical ectodermal ridge is responsible for getting the limb to the right length with the correct series of bones in it. On the posterior side of the limb bud, the zone of polarising activity (ZPA) determines the anterior–posterior axis, controlling the number and order of fingers and toes. In 1968, John Saunders and Mary Gasseling showed that grafting a ZPA from one chick embryo onto the anterior side of the limb bud of another chick embryo resulted in a limb with double the number of digits (six instead of three; chickens lack digits 1 and 5). The extra three digits were formed as an axis duplication, a mirror image of the normal three; the usual pattern of 4, 3, 2 was changed in the grafted embryos into 4, 3, 2, 2, 3, 4. The following year, Lewis proposed that, as for Spemann’s Organizer, a morphogen diffusing from the ZPA was responsible; the morphogen would be present at progressively lower concentrations as it diffused further from the ZPA. High levels would specify digit 4, intermediate levels digit 3, and low levels digit 2. In 1975, Lewis’s two colleagues Cheryl Tickle and Dennis Summerbell provided data consistent with Lewis’s model; by shifting where they grafted the foreign ZPA, they could induce different numbers and types of digits, but always in order, and always with digit 4 forming nearest the ZPA, and digit 2 furthest away. And there things stuck for some time. Nobody had any clue what the morphogen might be, and so trying to purify it biochemically was well-nigh impossible. Plundering the Wolpert lab’s stocks of random chemicals to see whether they worked as morphogens led to the discovery in 1982 that retinoic acid and related compounds could cause the axis duplication, but by the time Cliff arrived on the scene, there was some evidence that retinoids might not be the real deal; instead of being a product of the ZPA, as the ZPA morphogen had to be, they seemed instead to be instructing the embryo to make an entirely new ZPA. Having imbibed newt lore from Jeremy Brockes and limb theory from Lewis and his lab, Cliff started well in the limb world, cloning a slew of vertebrate homeobox genes and showing that some were expressed in interesting places during newt limb regeneration. However, after this early success, things got a lot harder. To figure out which of the genes might really matter, the obvious next step to take was to overexpress them during limb regeneration to see whether the process could be perturbed. The problem was that working out how to do this was not trivial, even to a molecular biology jock of Cliff’s undoubted calibre. In his other claim to PhD fame, Cliff had been one of the first people to develop and use retroviral vectors. Derived from RNA tumour viruses, the vectors carried foreign genes into mammalian cells, depositing them in the host genome, but they were dependent on particular receptors to allow them to enter cells. Cliff wanted to use such vectors to infect newt limb buds during regeneration, but newts, inconveniently, didn’t have the right receptors. After some frustrating attempts to make newt-specific vectors, Cliff embraced with relief the development of chicken-specific retroviral vectors by one of his old oncogene stable mates, Steve Hughes. Abandoning his newt tanks for egg incubators, Cliff embarked on a new life as a chicken person at Harvard, who had by now decided that he was good enough to be given a permanent job. It was horrible! I did a little bit—I helped my postdoc Uwe Strähle set up the aquarium and I looked after all the fish while he was on paternity leave, but I couldn’t wait for him to come back! It was just completely different. Whereas with flies you spend 80%–90% of your time thinking or doing experiments and 10% looking after them, with fish it was the other way round. Cleaning out tanks, feeding them … we weren’t actually doing anything. And of course I totally underestimated what was required if you wanted to do genetics in fish, and that I was never going to have a hope of doing mutant screens. Just the infrastructure that you need—you need a huge fish facility and an army of people. The idea that I could do it was just ludicrous, but I didn’t see that. So of course what we ended up doing was basically what the frog people were doing, just cloning homologues and looking at their expression. Mostly what I did was just transferring in situ protocols from flies to fish. I was still doing nearly all fly stuff myself. The plan hatched by the three collaborators was a simple one: determine whether there were fish, mouse, and chick versions of the Drosophila hedgehog gene, find out where and when during development the vertebrate hedgehog was expressed, and do some kind of functional assay to figure out whether it was important or not. The McMahon lab set to work with the chunks of the fly hedgehog gene, using them as probes to try to fish out similar sequences from a genomic library constructed from mouse DNA. Quite quickly, they hit pay dirt; the fly hedgehog probe lit up one of the genomic clones, and it was clear that the collaboration was going to have something to work with. Andy posted his new clone off to Cliff and Phil so they could take a look in their respective organisms for something similar, and in the meantime, started doing in situs to find out where during development vertebrate hedgehog was expressed. His data came as something of a disappointment. Rather than being switched on in the brain, as Andy and Phil had hoped, the gene was coming on at its highest levels in a place where, even with the best will in the world, it would be difficult to claim there was much thinking going on—adult male testes. I gave them provisional names for fun. I started off naming the genes for species of hedgehogs found in different parts of the world, but the only one we still use is desert hedgehog, which was the original one Andy found in testis. We had to change short-eared hedgehog to Indian hedgehog, as short-eared sounded like a phenotype. I was originally calling the third gene common european hedgehog as it was in the most places and was common! But Bob Riddle had a friend in England where they were marketing this video game called “Sonic the Hedgehog.” Bob’s daughter Annie had her sixth birthday and the friend sent her a “Sonic the Hedgehog” comic book. The other thing about Bob was, he played bass guitar in a rock band when he wasn’t at work, so the idea of calling a gene sonic hedgehog really appealed to him. Somewhat to Andy and Phil’s British dismay, desert and indian hedgehogs were duly joined by sonic, but both comforted themselves with the thought that the naming was as yet only provisional. Andy sent the clone to us, and Stefan Krauss, my postdoc, pulled out what actually turned out to be a full length copy of fish sonic hedgehog. While we were doing that, Andy’s postdoc did the in situs, and saw no expression in the embryo, but expression in the adult testis. So Stefan just put the clone he’d isolated on one side because he thought it wasn’t going to be of any interest. Then Cliff isolated three different bands. He immediately told us that they’d got three different bands, meaning three different genes. So then Stefan immediately went and got his clone, made the probe and did the in situ and that’s when we found this amazing expression pattern. The day that he did the in situs I had a visit from fundraisers. So I had these four or five little old ladies in the lab and I showed them round, and Stefan came in with the dish of embryos. So I said, “Why don’t we look at these fish embryos?” So a fundraiser was actually the first person to see the sonic hedgehog expression pattern—she looked at it before I did. I looked, and went “Wow!” But the only other zebrafish gene that we’d cloned then was axial, and axial has a pattern of expression very similar to sonic. So when I looked at it, I thought Stefan had mixed up his probes. Of course I didn’t say anything in front of those ladies, but as soon as they’d gone I said “You must have mixed up your probes Stefan, this is axial.” But then we looked more carefully and realised there were subtle differences. So then Stefan just did a drawing of the expression pattern and I faxed it to Cliff and Andy. The sonic hedgehog expression pattern was, quite simply, a game changer for developmental biology. In the developing zebrafish embryos, sonic was first seen in the inner cell layer of the embryonic shield, the region corresponding to Spemann’s Organizer in amphibians. As the embryos grew, sonic then appeared in the notochord, the structure over which the neural tube was laid down, and then came on in the floor plate, a thin strip of specialized cells overlaying the notochord and running like a seam along the ventral side of the nascent spinal cord. All these three places—the node, the notochord, and the floor plate—shared one characteristic: they were all fundamentally important organizers, all able to dictate the fate of neighbouring cells by secreting morphogens, the mysterious messengers that nobody had been able to identify. And in each of these organizers was sonic hedgehog, a close relative of a secreted molecule known in flies to be able to change the fate of neighbouring cells. It looked tantalisingly likely that sonic and the morphogens were one and the same; in a remarkable testimony to recycling good ideas, evolution was using the same molecule in multiple different places. By July 1993, the bulk of the in situ studies had been completed. Although it was obvious to all concerned that sonic was the real deal, proof was required to really nail it, in the form of overexpression experiments; if sonic was really the morphogen, making too much of it in the wrong place should result in the induction of inappropriate structures. This meant that Cliff had to show that sonic by itself could act like a ZPA graft in the chick limb, and that Andy and Phil had to use sonic to mimic the actions of the notochord and floor plate, which normally induce development of the ventral half of the spinal cord. Everyone went into overdrive, although Andy had a little trouble convincing some of his lab members that nights out were no longer going to be a feature of their lives for a while: “The people in the lab at the time were not necessarily doing things at the right pace and I said to them that this was important, and that they really needed to move on this.” Word has it that at the time, Andy may have expressed himself a tiny bit more forcefully. Although the experiments being done in the three labs were all designed to converge on the same scientific objective, they required different organism-specific techniques, all technically difficult and in some cases novel. Phil’s lab, somewhat to his shame (“doing overexpression experiments is a bit embarrassing for a fly geneticist”), was making synthetic mRNA transcripts of the fish sonic gene and microinjecting them into fertilised eggs, which were then able to translate the mRNA into sonic protein. As long as the tank conditions were favourable, an art in itself, persuading pairs of fish to make eggs was pretty easy, as was harvesting them; a strip of gauze could be left in the tank and simply lifted out together with the eggs that had fallen onto it. Thereafter, things got fiddlier. Hundreds of the tiny eggs were examined one by one under a microscope to determine what stage they were at, then quickly microinjected with the synthetic mRNA, then got back into water, in order to maximise survival. Because nobody had tried to overexpress anything in zebrafish before, Stefan and his fellow postdoc Jean-Paul Concordet were pretty much making it up as they went along. Andy’s lab was also using eggs, but had to do full-on microsurgery to harvest them from pregnant mice and reimplant them in recipient mothers. The eggs, much smaller than those of the zebrafish, were microinjected with plasmid vectors in which expression of the sonic gene was governed by the regulatory elements normally driving expression of Wnt-1 in the midbrain and dorsal spinal cord; such transgenic constructs would switch sonic on in completely the wrong place during development of the central nervous system. The technique of making transgenic mice by microinjecting eggs with DNA had been introduced by Ralph Brinster and Richard Palmiter in the early 1980s, but was still a bit hit-and-miss even after 10 years. One had to have a steady hand and a great deal of patience and stamina, and even then, the microinjected eggs were often too damaged to develop, and if they did, the transgene could be silent, or defective. Cliff’s lab, using chicken eggs, had to use a unique blend of very old and extremely new technology. In a procedure familiar to generations of chicken farmers, eggs were first candled, held up to a bright light, to check the position of the embryo. Using staging charts developed in 1952, the age of the embryo was then determined by looking at it through a small 1-cm2 hole cut in the shell. All grafting to the limb buds was done through this same window, and not surprisingly, was so technically demanding that some people never got the hang of it. The modern twist used by Cliff’s lab was that instead of using pieces of tissue from another embryo, their grafts comprised pellets of cells infected by a chicken retroviral vector carrying the sonic gene. This made the graft even harder because the pellets had a propensity to fall apart during the implantation procedure. The lab at least smelt nice; to look at the embryos at the end of the experiment, the tissues were cleared of colour using methyl salicylate, the active ingredient of liniment, giving Tabin lab members the air of a particularly injury-prone sports team. By dint of working their socks off, by October 1993, all three labs had produced unequivocal evidence that sonic was exactly what they had thought it to be. Cliff’s data were probably the easiest to interpret because the readout for his assay was simple; do embryos get extra digits? They did. The implanted sonic-expressing cells in the limb bud could cause axis duplications as if they were a whole ZPA graft, and furthermore, sonic could induce expression of the downstream homeobox genes that were known to be involved in subsequent patterning of the limb. Andy and Phil, working in the nervous system, also came up with the goods. In mouse embryos, turning sonic on in the dorsal neural tube resulted in extreme abnormalities of development, with ventral markers being switched on. sonic was attempting to force the dorsal spinal cord to become ventral, just as expected for a morphogen dictating ventral development. In fish, as in mice, the same illicit activation of ventral markers occurred in embryos overexpressing sonic, and there were also forebrain abnormalities. As the icing on the cake, Phil’s lab also did a very cute experiment in flies, using fish sonic to rescue flies whose own hedgehog gene was mutated. This conservation of function across some 700–900 million years of evolution was pretty amazing in itself, but it also suggested that the hedgehog–patched signalling pathway that Phil had already worked out in flies was likely to be conserved in vertebrates, providing an incredibly useful starting point for future vertebrate studies. I think to be honest, we went from being euphoric and excited about it to then being under intense pressure—it was just something we had to get out. We had to get it to Ben Lewin before some deadline or other. David Ish-Horowicz had a postdoc who was flying to Boston, and so he was going to take it over for us. We were in the Zoology department all night finishing it. And then a fire alarm went off about one in the morning and we had to evacuate the building. The fire brigade seemed really amazed that there were people in there working at that time! So it was just a bit stressful actually. The four papers were submitted together in mid-November 1993 and were enthusiastically received by the anonymous reviewers, although Cliff, to his disappointment, was told that he had to condense his two papers into one, because there were not quite enough results to justify the second. The haste with which the papers had been written turned out to be justified. News had leaked out onto the scientific grapevine regarding the results, and other laboratories, notably those of Phil Beachy in Baltimore and Tom Jessell in New York, turned out to be not far behind. Jessell, once he heard about the data, is rumoured to have locked his lab in and told them all that if they worked hard enough, they could be joint first authors on any resulting paper. However, even the Jessell lab on 24-h shiftwork was not quite fast enough to scoop the three collaborating labs, and Phil, Andy, and Cliff’s papers were published to great acclaim in Cell on the last day of 1993. In the 20 years since sonic was unmasked as the master morphogen of patterning in the ventral neural tube and the limb, much has happened. The signalling pathway in which Sonic and its Hedgehog family relatives sit turned out to be one of a select few universal pathways, proven to be useful early on in evolution and then used by multiple cells and organisms. Hedgehog signalling pops up everywhere that cells need to make decisions regarding their fate based on who their neighbours are. Readouts are dictated by the milieu in which the pathway works; it is more an engine that can be harnessed to drive many different processes than a process in itself. The pathway also bears the added distinction of being one of only two discovered through genetics, rather than by analysis of transformed cell lines, perhaps because the way in which Hedgehog proteins are processed and signal is unique and not easily discoverable by conventional means. At the molecular level, the Hedgehog signalling pathway is still growing in complexity, although the basics are now mostly understood, from the way in which Hedgehog proteins are cleaved and secreted from their originator cells, to how they bind and repress the Patched receptor, activating the Patched target protein Smoothened to trigger a signalling cascade that regulates transcription of Hedgehog target genes in the nucleus. Recently, it has been shown in vertebrates that the incoming Hedgehog signal is directed into the primary cilium, a sensory organelle that sticks out like an aerial from the surface of virtually all cells in the body, acting as a fundamentally important receiver for multiple extracellular stimuli. In the wider sphere of development, there are still many prickly Hedgehog puzzles left to contemplate, as the myriad processes in which Hedgehog is now known to act are slowly deconvoluted. Even after 20 years, nobody quite knows what is going on in neural tube patterning or limb morphogenesis or, indeed, how Hedgehog can act as both a long- and short-range morphogenic signal, although for all of these, there are credible, if probably oversimplified, models. These days, there’s a lot of crossing T’s and dotting I’s. There were so many big things around that time in developmental biology—there was mesoderm induction, then the whole homeobox gene stuff in vertebrates and the fact it all matched with Drosophila was mindblowing, and then this stuff, which for me solved this big problem. I thought, “What could top this?” It was hard to imagine how the field could go any higher. It turned developmental biology into cell and molecular biology—the fact that you had factors. Nowadays, the big questions are so poorly defined that you can’t really answer them—it won’t be for another decade before it is even possible to approach them—we’ll be into a new era when we can. Sonic hedgehog was the first silly gene name. The earlier fly names were quite sensible—they were always descriptive in some way. Sonic broke the mould as it was a reference to something completely different. Our paper in Cell doesn’t even have “Hedgehog” in the title. I certainly didn’t use sonic as I thought that name would just disappear. And then Andy and Cliff both used it and of course that was a big mistake for us. I think part of the reason our paper doesn’t get cited so often is because it doesn’t mention Sonic hedgehog. There’s one remaining story regarding the naming of sonic, which Cliff told with great relish in an interview in 2008: “The funniest part involved a colleague whose husband was driving home from work. We submitted the papers in October and they were published in the last issue of December; in November Sega started promoting Sonic the Hedgehog in the US, including at McDonald’s. The husband saw the big sign, slammed on the brakes and went to a pay phone to call his wife—‘You’re not going to believe this, McDonald’s is doing a promotion on Cliff’s gene!’” (Tabin 2008). In 1996, the concerns about calling a gene with obvious importance in development after a cartoon hedgehog were to some extent justified, when Patched, the Sonic hedgehog receptor, was shown to be a human tumour-suppressor gene. Mutations causing loss of function of Patched were associated with an unpleasant disorder called Gorlin syndrome, and not surprisingly, the comic origin of the pathway’s name was rather lost on Gorlin patients and their relatives. Gorlin syndrome sufferers have multiple developmental defects including very characteristic facial changes: many have wide-set eyes, a “saddle” nose, cleft palate, and pronounced brow bones. As well as having profound prenatal effects, the absence of Patched is disastrous postnatally. Normally, the Hedgehog pathway is only active post-birth in a few very specialised places, such as in renewal of the lining of the gut. With Patched missing, the pathway has no negative regulator, and thus is switched on inappropriately in multiple places. In cells where Hedgehog signalling is the primary driver of proliferation, there is therefore a predisposition to cancerous growth, and Gorlin patients can develop rhabdomyosarcomas, tumours of the muscle, medulloblastomas, brain tumours, and most commonly, a glut of basal cell carcinomas, skin cancer. Knowing that defects in the Hedgehog pathway caused cancer prompted a mass survey of many different cancer types. In very short order, it became obvious that mutations in Patched and its downstream target Smoothened cropped up in multiple sporadic cancers of the colon, pancreas, and ovary, but were particularly common in basal cell carcinoma, where a majority of cases had either lost Patched activity or had suffered a Smoothened mutation that made the protein less responsive to Patched repression. Caught early, basal cell carcinoma, the most common form of skin cancer, is eminently curable, but if it is allowed to metastasise, it is a killer. In the 1990s, there was no treatment beyond palliative care, and, therefore, trying to find a suitable drug able to switch off the Hedgehog signalling pathway, and perhaps save or prolong lives, was a very exciting prospect. The possibility that the Hedgehog pathway might be important in disease had not been lost on Phil, Cliff, and Andy, but the idea that it might be good to exploit their expertise and harness it to drug development came from an unexpected source, Cliff’s dad. Julius Tabin was originally a physicist at MIT, and in World War II had worked on the Manhattan Project with Enrico Fermi. His physics career came to an abrupt end when, after volunteering to enter Ground Zero of the first atomic bomb test at Alamogordo to collect samples, he was exposed to a half-lethal dose of radiation, meaning that he was banned from further exposure for several years. Being an atomic physicist unable to work with radiation is not conducive to success, so, whilst continuing to teach, he put himself through Harvard Law School (possibly showing a genetic basis for Cliff’s own impressive work ethic). Cliff takes up the story: “He had a very nice career because right when he finished law school, the peaceful uses of the atom were being developed, and if you had a reactor or a cyclotron or something and you wanted some patent protection for it, you could go to my Dad, who knew the physics better than the people at your company did, and had a law degree from Harvard, and had joined a very good law firm.” From this start, Julius became known as a science attorney, providing legal advice for the first generation of biotech companies and also acting as general counsel for the Salk Institute in San Diego for many years, where amongst other things, he helped Salk scientists patent their discoveries. Cliff again: “When we found Sonic, he basically said: ‘You guys need to patent this.’ At the time, we had the information that was in those papers—today the thing wouldn’t fly, as we had no data that would be of medical use—but at my Dad’s suggestion, I talked to Phil and Andy and then we talked to the Harvard Patent Office.” As a result, in December 1993, U.S. patent number 5789543, “Vertebrate Embryonic Pattern-Inducing Proteins and Uses Related Thereto,” became the first in a series of patents filed by Harvard and the ICRF relating to the Hedgehog pathway. Someone else at Harvard had woken up to the possibility that developmentally important signalling factors might have relevance to human health, and in 1994, Doug Melton, Cliff’s erstwhile postdoc advisor, founded a company, Ontogeny, Inc., with Phil, Andy, Cliff, and Tom Jessell on its scientific advisory board. The Hedgehog pathway patent was an obvious starting point, and following the discovery of the role of Patched and Smoothened in tumours, the early intention to develop drugs to treat degenerative disorders of the nervous system such as Alzheimer’s was quickly overtaken by the imperative of an anti-cancer therapeutic. In 2000, Ontogeny, Inc., became Curis, Inc., but the Hedgehog thread remained, culminating in the development of a drug, vismodegib, which bound and inhibited Smoothened, suppressing aberrant Hedgehog pathway activation. After passing very successfully through clinical trials, the Curis drug, developed and commercialised by Genentech and Roche and rechristened Erivedge, was approved for patient use in January 2012. It is still the only treatment for advanced basal cell carcinoma and is a salutary lesson to those who claim that basic, curiosity-driven science has nothing to offer modern medical research. It was a lot of fun. It wasn’t that we thought we’d done something incredibly important, it wasn’t that we were racing against Jessell and Beachy, who we didn’t know about at the time, it was just fun! Phil and Andy are incredibly smart guys, they’re different, they think differently, and it was just fun to play off of both of them. The three of us have remained very good friends over the years, but I sometimes think if we’d carried on working together it would have been incredibly productive as well as enormous fun. All of us have done fine, I’m not complaining, but together we’d have been unstoppable. We could have done whatever we wanted, divided how we wanted—it would have been a really special relationship in developmental biology. www.nobelprize.org/nobel_prizes/medicine/laureates/1995 Ed Lewis, Janni Nüsslein-Volhard, and Eric Wieschaus on the Nobel Prize website. www.youtube.com/watch?v=e3HcqGcXls4 Video about Spemann’s Organizer. www.youtube.com/watch?v=Lb6TJzTLg_E Drosophila development. Note that the segmentation genes are all active before anything visually interesting is happening (i.e., before 10 h). Lewis J. 2008. Development of multicellular organisms. In Molecular biology of the cell, 5th ed. (ed Alberts B, et al. ), Chapter 22. Garland Science, New York. A clear, beautifully written introduction to developmental biology by Julian Lewis, one of the best in the business. Slack JMW. 1998. Egg and ego: An almost true story of life in the biology lab. Springer-Verlag, New York. Jonathan Slack’s lightly fictionalised account of life in the ICRF labs at Mill Hill, and thereafter. Smith JC. 2000. Not a total waste of time. An interview with John Gurdon. Interview by James C. Smith. Int J Dev Biol 44: 93–99. Tabin C. 2008. An interview with … Cliff Tabin. Nat Rev Genet 9: 420.